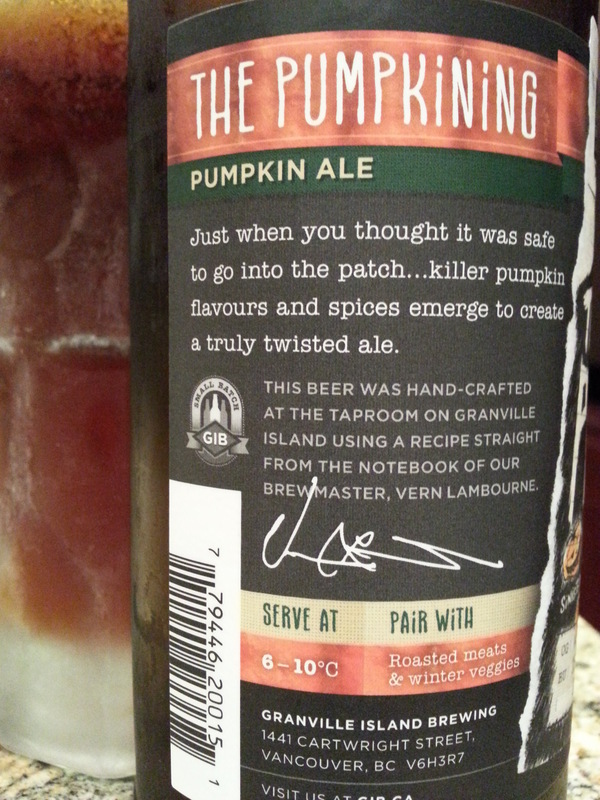 The Pumpkining – Granville Island Brewery (Vancouver, BC, Canada) | Justintoxicated. ‘Tis the season of Halloween and now that I’m too old to go “trick or treating”, what better way to get comfortable with the rainy weather season than to kick back and enjoy a nice spiced pumpkin ale. Taste Profile: fizzy-crisp -> cola/toffee malts -> trace cinnamon/nutmeg/anise/thinnish malty finish. Would I recommend this to beer aficionados: ye…no. Not awesome enough. Visual: Definitely a new label for 2013. It might be the same brew but this time it’s clear that the taproom IN Vancouver brewed this and not the Granville Island Brewery in Kelowna that produces all their larger batch beers. I’m not sure if the is the same as last year’s brew since the label and name of the beer have totally changed. I still have a bottle of 2011 lying around so I’ll get around to comparing them eventually… Pours clear dark copper brown without much head, thin ringed retention, clusters of activity. 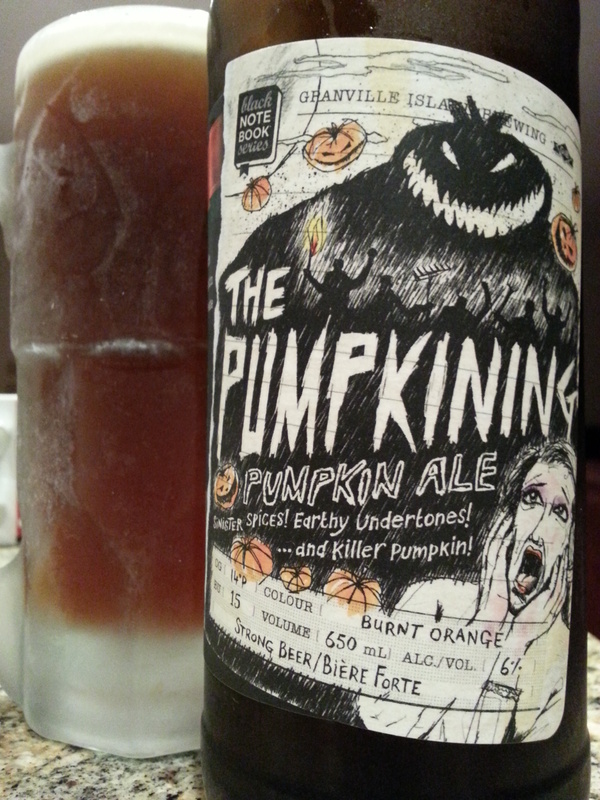 Nose: pumpkin pie spiced sweet caramel malts on the nose. (6)aromatic strength. Finish: light burpy, thin-water body, mild ANISE/NUTMEG/CINNAMON exhale, thin malty finish.